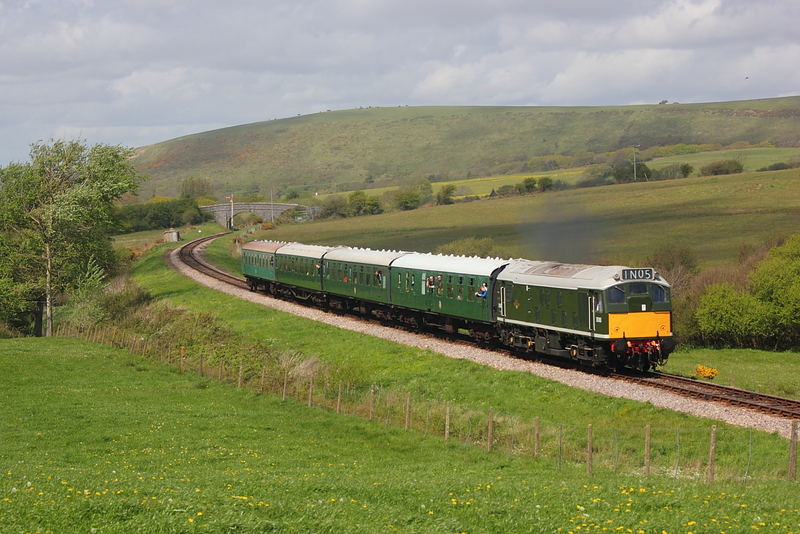 D5185 departing Harman Cross with the 10.20 Norden to Swanage service. 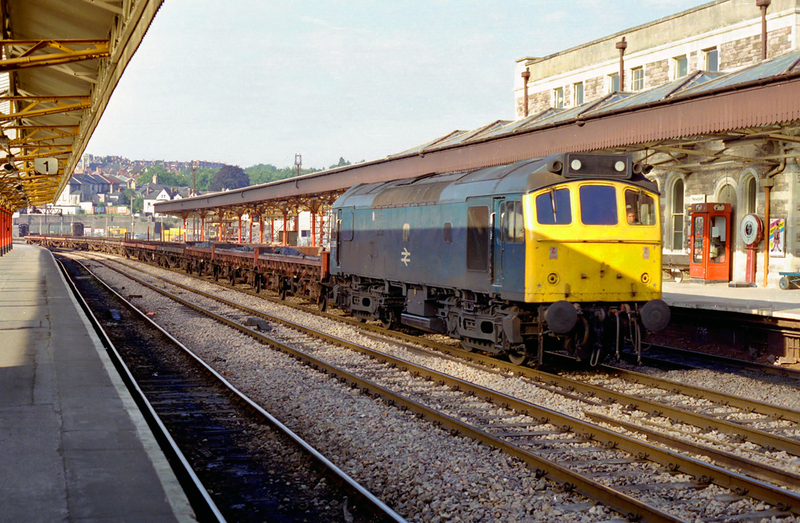 Scanned print of 25205 on a unknown working catching me totally unawares having just moved from a better position. 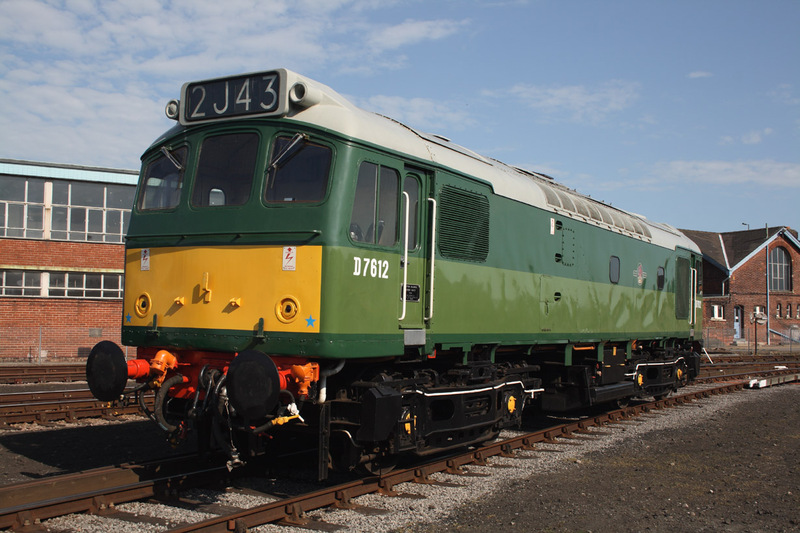 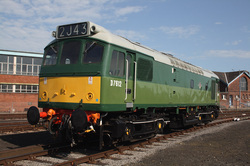 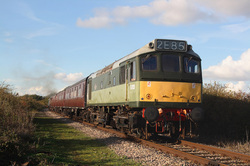 24/10/10 Great Central Railway Nottingham,Autumn Diesel Day. D7629 crossing Stanford On Sour,on the rear of 1D14,14.45 Loughborough to Ruddington. 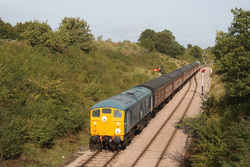 24081 10.25 Toddington Distant Signal(Stanway Viaduct) to Gotherington. 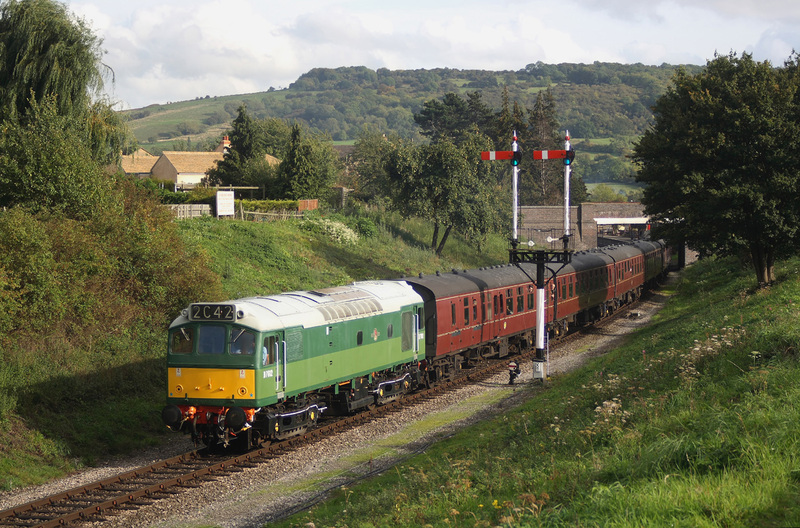 D7612..15.20 Toddington Distant Signal to Gotherington. 24081..12.00 Toddington Distant Signal to Gotherington. 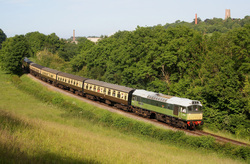 14/06/09 West Somerset Railway's Mixed traffic weekend. 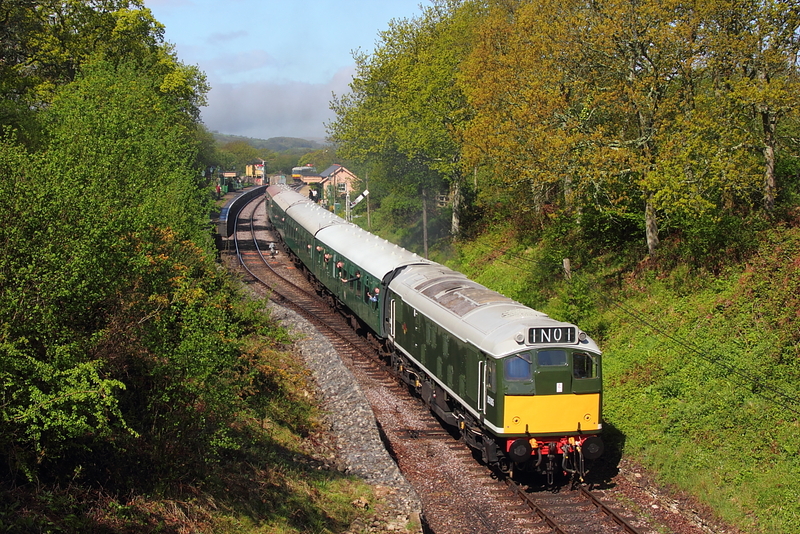 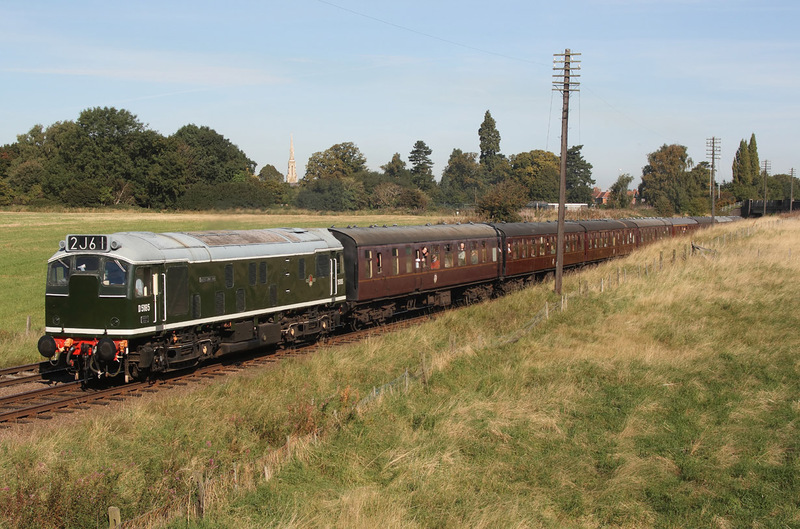 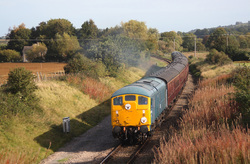 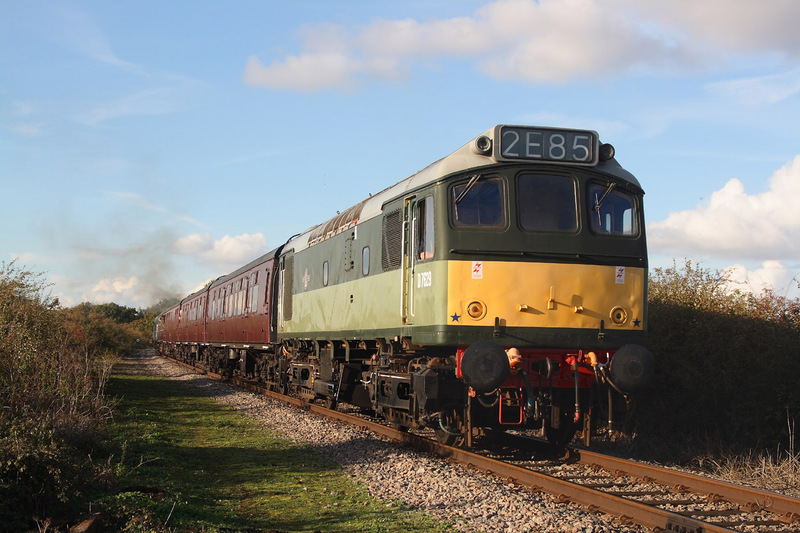 D7523"John F Kennendy" passing Kentsford on the 16.25 Bishops Lydeard to Minehead service.